KhalNik added a new wallpaper to the Diablo III Wallpaper gallery last week, and it deserves a wider audience. 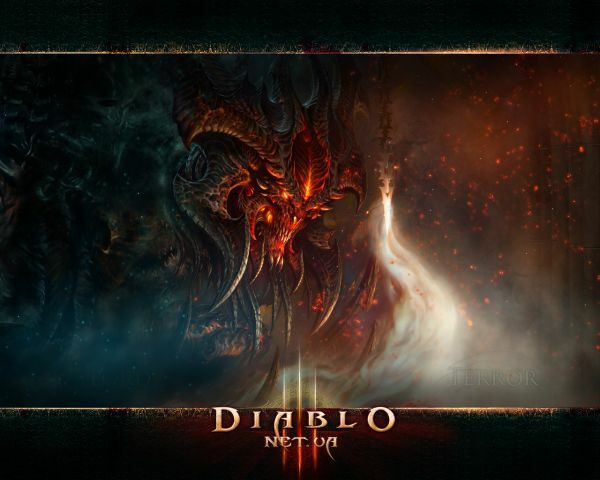 The wallpaper features Diablo himself, in artwork by Blizzard artist Glowei. This piece was used in last year’s Blizzcon poster (in which Diablo was regrettably tucked away to the side, behind the giant salami-colored Kerrigan image). Note that this new wallpaper isn’t just the Diablo face cut out of the original image; compare the wallpaper to the source image and you can see just how much KhalNik did to create this 4×3 image from the original narrow portrait. All of the starry sky-like background to the left and right is original, and blended so smoothly with the central model. The wallpaper is below; click it for a much larger version suitable for your desktop.